Permanent hair removal can remain elusive unless you have thousands to spend on weekly or monthly salon visits to have your hair removed with a laser. This doesn’t mean that the hair removal methods at home are going to be cheap or work effectively, either. While you’ll spend a fraction of the price of monthly salon visits, the method you choose has to work. This all leads up to a batch of hair removal methods that can be used at home. The first is the Tria Hair Removal Laser 4x. With any hair removal at home, there’s a preparation process. While you might be used to waxing where the hair has to be long enough, with laser treatments, you’ll need to shave first. Wash the skin to be treated and shave as you normally would. You’ll need to select a treatment level. It’s recommended that you choose the highest level you can stand for the most effective hair removal. If you’ve never done hair removal with a laser, you might want to start with a lower setting. It’s quite painful. Test your tolerance before jumping to the highest level. For best results, it needs to be done weekly with at least 8 treatments before you’ll see a difference in the hair. Many people don’t understand the laser hair removal process, so when they don’t see immediate results, they think it isn’t working. It can take days for the hair to fall out after a treatment. New hair can grow back in its place, and that hair will need to be treated, too. After a few cycles of hair growth, the follicle will begin to deaden and not produce hair anymore. 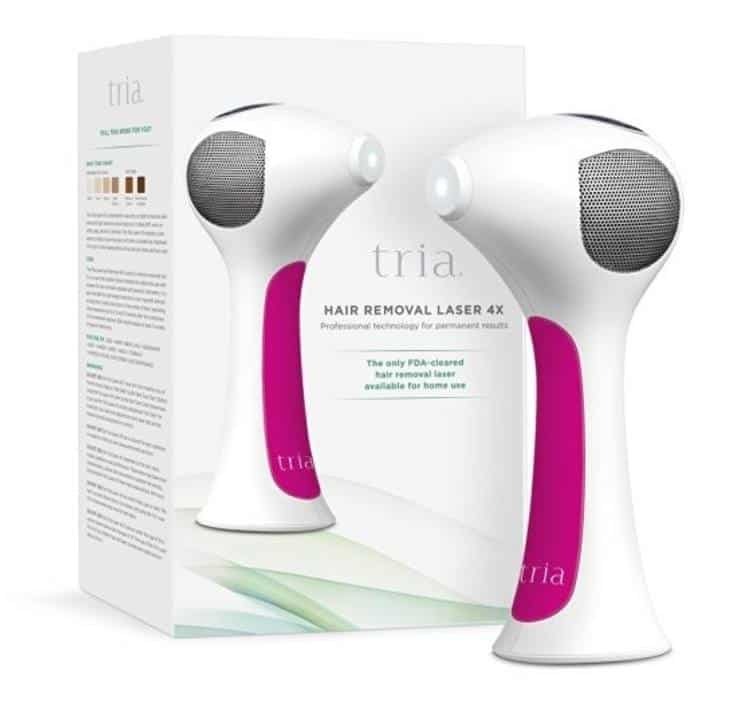 The Tria Beauty Hair Removal device emits a diode ray laser that targets dark hair on light skin. It’s not going to be as effective on light hair like white, blonde, or gray hairs. Some redheads might have a problem with hair removal, too. Some skin tones are too dark for the sensor since it will pick up the differences in tone to remove the hair. One of the best things about the laser hair remover is that it won’t work if your skin tone and hair color are at odds with the chart. You won’t end up zapping yourself endlessly if your skin and hair color is wrong for the device. One of the only cons for the device is that it doesn’t have a power cord. You’ll have to charge the battery, but it holds a charge for 30 minutes of continuous use. This will allow you to cover multiple areas of the body. It’s best if you start with a less sensitive area like the underarms until you’re accustomed to the pain. Once you’re ready for the bikini area, you can use a numbing cream as well as ice to keep the laser from hurting you too much. It’ll still hurt! The numbing cream should help, though. In order to use the device, you’ll need to call the company to activate it. When you call, a company representative will walk you through the proper settings that you’ll need for your skin. 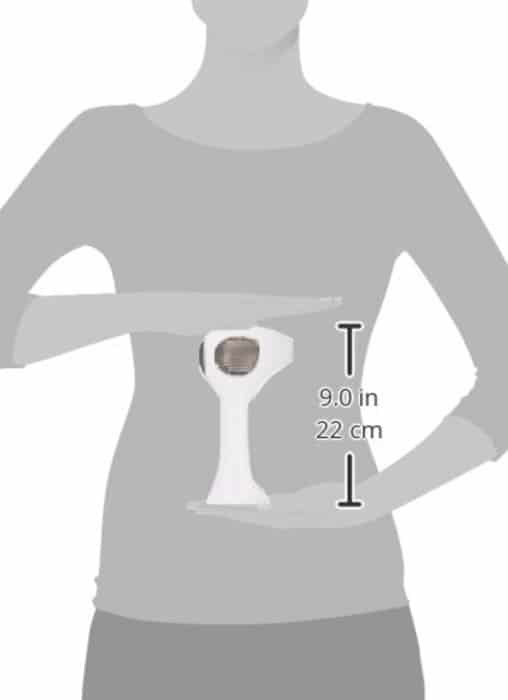 This is why the Tria was one of the first at-home devices to get FDA approval. It prevents you from being burned with the laser. Let there be no mistake, you’re using a laser on your skin, which has the potential to do permanent damage to your skin. These are some of the comments seen regarding the Tria system. We’d like to point out that it’s a laser zapping the hairs inside your skin. It will hurt, and that’s just the nature of hair removal. The shooting end of the laser IS small. You definitely won’t be able to zap your entire body in one sitting, but for bikini areas, under the arms and the face, it’s not a problem. 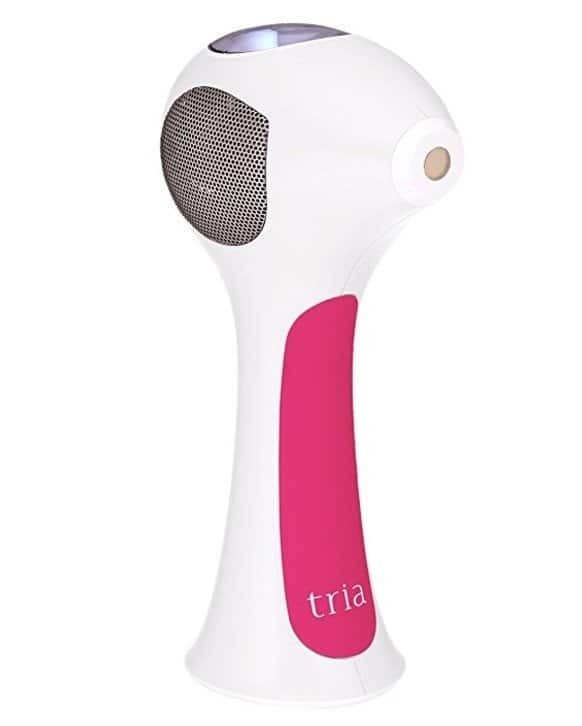 The Tria Beauty Hair Removal 4x Laser is one of the best on the market for at-home hair removal. As a consumer, you’ll have to figure out whether you are able to use the laser with your skin tone and hair color. As far as pain tolerance, it’ll feel like you’re being stung by a bee continuously as you use the laser, but with numbing cream and ice, it’ll be tolerable. This hair removal system rivals a salon visit in terms of price as well as results. You’ll be able to do problem areas in privacy, too. Perfect for those who are embarrassed about their hair growth.